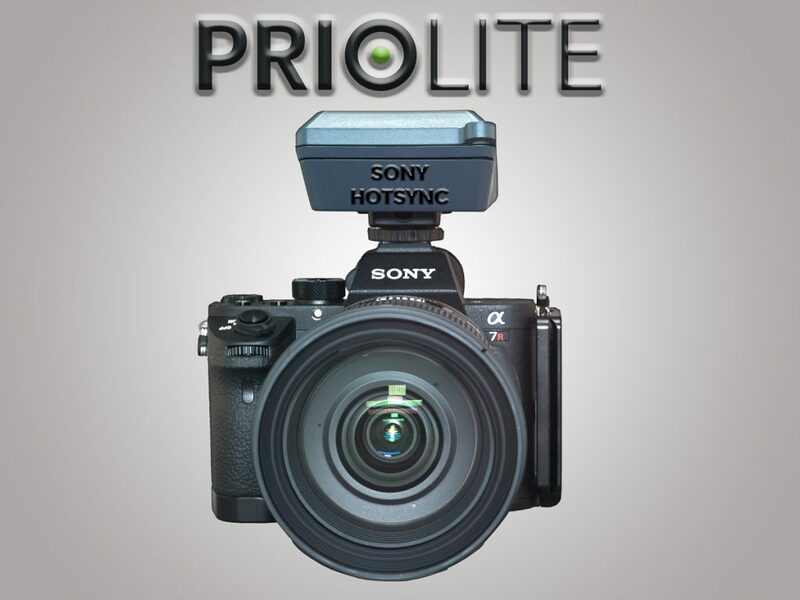 After extensive testing, PRIOLITE NORTH AMERICA is proud to announce the immediate availability of HotSync support for SONY cameras with multifunction hotshoe. Use your electronic and mechanical first curtain shutter at up to 1/8000th of a second with ALL PRIOLITE HotSync monolights and pack/head combinations at any shutter speed and any power setting. Priolite HotSync for SONY is enabled by using a PRIOLITE Remote for Sony, which is compatible with all PRIOLITE HotSync lights, including the MBX300HS, the MBX500HS, the MBX1000HS and the MPACK1000HS. The SONY specific remote joins the already available remotes for NIKON, CANON, and PENTAX cameras, making the PRIOLITE HotSync system the most versatile and future proof investment in lighting equipment today. With support for all major camera manufacturers and HotSync designed specifically to do High Speed Flash sync, changing your camera requires you to only change the PRIOLITE remote controller, with no need to replace all your gear, if you want to keep shooting. Thinking of upgrading to medium format? The PRIOLITE HotSync system is the only solution with support for Pentax 645d and Pentax 645z cameras at up to 1/4000th, addressing the biggest shortcoming of the system, which is otherwise limited to just 1/125th when using strobes. 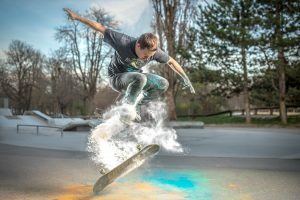 Shooting above x-sync allows you to freeze motion, and balance ambient and flash light at the same time, without the need for ND filters or other compromises. PRIOLITE HotSync offers the only Li-Ion powered location strobes with up to 1000Ws each, uniquely enabling you to overpower the sun, while retaining a compact size in an all metal enclosure. PRIOLITE HotSync is available in monolight or pack/head combinations, enabling you to choose the widest variety of light modifiers (even Paras, for which we make an adapter) of any lighting system today. There was never a better time to join the PRIOLITE family, and if you plan to use a SONY camera, you should take advantage of our limited time introductory offers below to save up to $1000. 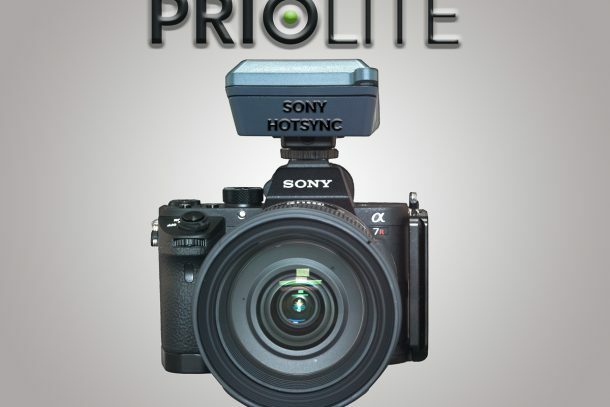 Los Angeles, USA, April 8, 2016 Priolite North America is proud to announce the world’s first HotSync solution for high speed flash photography with high-powered Li-Ion battery operated studio and location strobes, compatible with SONY HSS cameras1. Similar to the Priolite Remote Control for Nikon, Canon, and Pentax, SONY users are now able to synchronize their cameras with the help of the Priolite Hot Sync System, and use Priolite’s high-powered Li-Ion battery operated strobes at up to 1/8000th of a second2. Utilizing the entire range of possible shutter speeds with the Priolite Hot Sync System allows photographers to shoot with wide-open apertures in sunlit environments, freezing motion of fast moving subjects, and enables them to create images difficult or impossible to capture before. The ability to remotely control high-powered battery operated studio strobes anywhere between 9Ws and up to 1000Ws per light3 with the Priolite Remote Control opens up endless possibilities for creatives all around the world. “High-powered strobe photography at shutter speeds of up to 1/8000th of a second, combined with the ability to operate any of the Priolite HotSync strobes at any power setting and without the need for an outlet, truly represents a quantum leap forward for all owners of SONY cameras,” says Joachim Renschke, the CEO and founder of Priolite GmbH, Germany. The 2.4GHz Priolite Remote Control supports 4 groups with 9 different ID’s each, 1/10th of a stop power adjustments, and remote control of modeling lights. Photographers now no longer have to rely on generators while on location, searching for outlets, or running wires when setting up their lights. 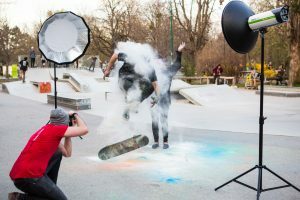 “Priolite offers the only solution for High Speed Flash photography with up to 1000Ws per light, and is the only professional lighting manufacturer with HotSync support for Pentax medium format cameras and DSLR’s from SONY, Canon, Nikon, and Pentax. Being able to go above x-sync on a focal plane shutter at any power setting makes Priolite HotSync the best solution for professionals,” says Alex Munoz, commercial still and motion photographer from Los Angeles, California.